Description: Digitization provided by the USF Libraries Digitization Center. Rare Maps. 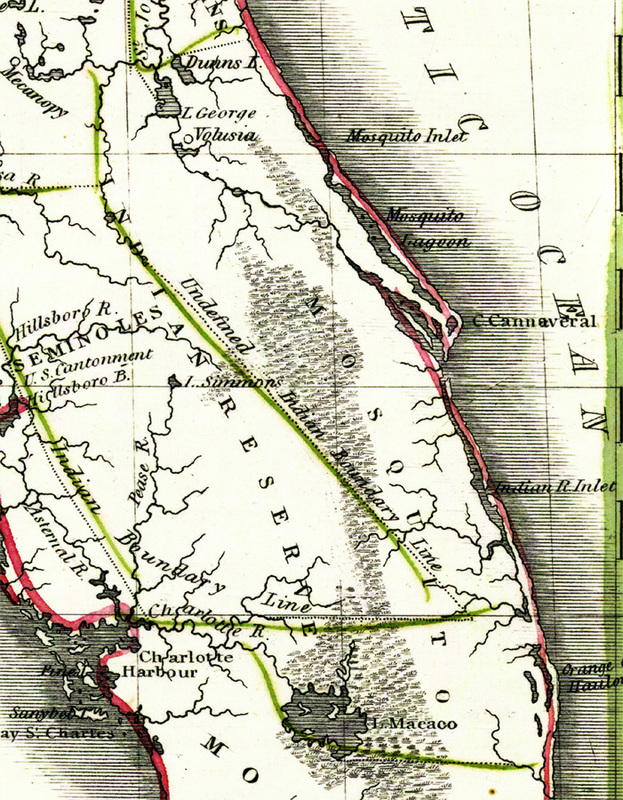 This is a map of Mosquito County, circa 1830. It is a portion of Rand McNally and Co.'s new business map of Florida. It shows county boundaries, unidentified Indian boundary lines, cities such as Cape Canaveral, inland waters such as Lake Macaco or Lake Okeechobee, etc.